Energy efficiency improvements over the last 25 years saved a cumulative USD 5.7 trillion in energy expenditures. This virtual supply of energy generates multiple benefits for governments, businesses and households, including greater energy security from reduced dependence on energy imports and billions of tonnes of greenhouse gas emissions reductions.Strengthening our understanding of the energy efficiency market and the prospects over the medium term is becoming increasingly important. 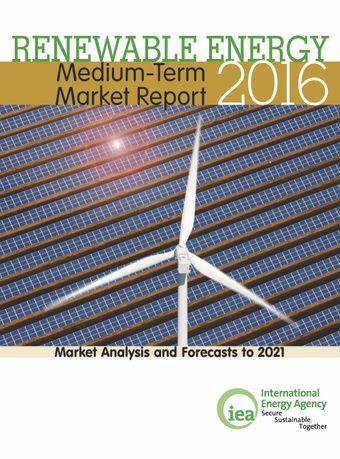 The 2015 Energy Efficiency Market Report (EEMR) evaluates the impact of energy efficiency in the energy system and assesses the scale and outlook for further energy efficiency investment using detailed country-by-country energy efficiency indicator data and IEA expertise.This year’s report includes an in-depth look into the buildings energy efficiency market and the electricity sector. Energy efficiency investments in the buildings sector totalled between USD 90 billion in 2014. In the electricity sector, energy efficiency has proved critical in flattening electricity consumption in Organisation for Economic Co-operation and Development member countries, driving utilities to adapt their business models.Promoting and expanding energy efficiency markets is a worldwide phenomenon, and EEMR 2015 presents a number of case studies at the national, state and municipal level. These include examinations of Latin America’s two largest economies, Brazil and Mexico, which are looking to efficiency to boost productivity and social development. Energy-exporting countries like Saudi Arabia and the Russian Federation are also increasingly turning to efficiency to increase exports and reduce the costs of growing domestic energy consumption. In addition to national governments, major urban areas such as Tokyo, Seoul and Paris are increasingly enabling energy efficiency investment.